In Harley-Davidson: Road Trip you'll experience the roar of the engine, the shine of the chrome and the feeling of power and freedom on the open road. 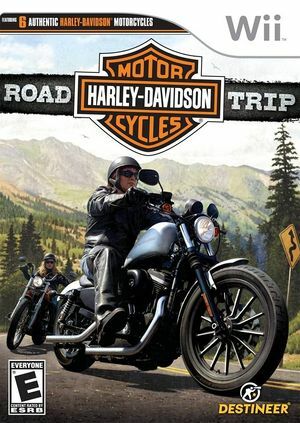 From the seats of six authentic Harley-Davidson motorcycles, you are on a special assignment from HOG Magazine to chronicle a road trip across America. Game crashes with a "Shader error on line 24" error when selecting male / female biker in the menus. Playable in revisions prior to 4.0-6864. The graph below charts the compatibility with Harley-Davidson: Road Trip since Dolphin's 2.0 release, listing revisions only where a compatibility change occurred. This page was last edited on 18 March 2018, at 06:26.